Storybook Tudor in desirable North Admiral. Vintage details meet modern updates in this 3 bedroom 1.75 bath home. 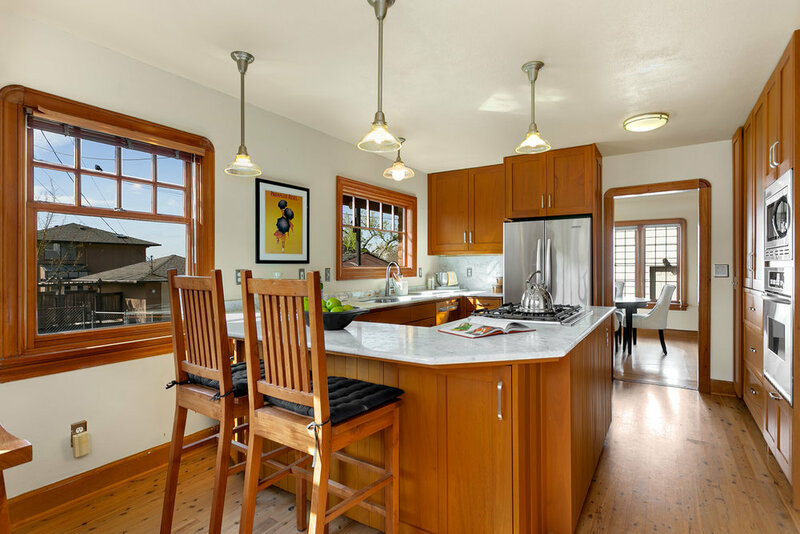 In-laid hardwoods, formal dining room and tastefully remodeled kitchen and bathrooms. Chef’s kitchen with mahogany cabinets, Carrera marble and breakfast bar. 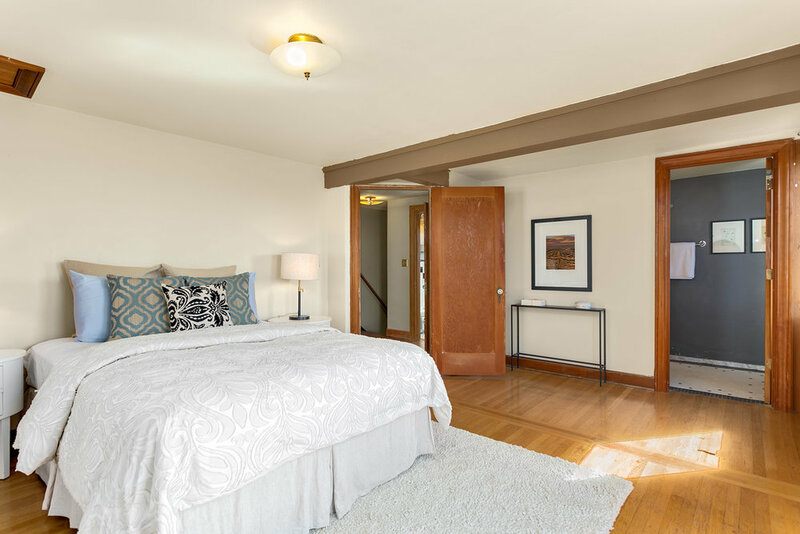 Upstairs you’ll find a master bedroom with a Sound and mountain view deck, second large bedroom and nicely tiled bathroom. 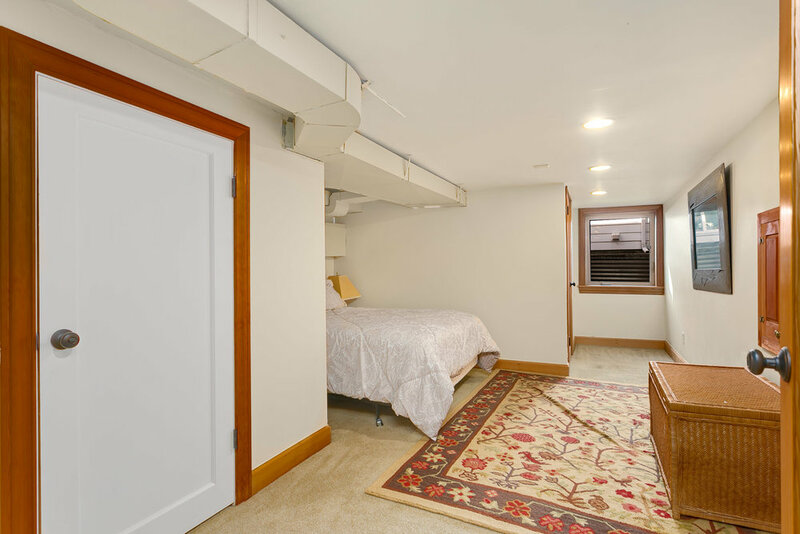 The basement features the third bedroom and family room. Two detached garages and alley access. Gardener’s delight, mature landscaping and fenced yard. Gorgeous home on tree-lined street with sidewalks. French doors from the master bedroom lead to a private view deck. Enjoy gorgeous sound and mountain views. Gorgeous chef’s kitchen with mahogany cabinets. Carrera marble counters, breakfast eating bar, double ovens, gas cooktop, and stainless appliances. Counter eating space in the kitchen. Loads of cabinet and pantry storage. Good sized formal dining room with leaded glass windows, hardwood floors, and access to the backyard deck/porch. 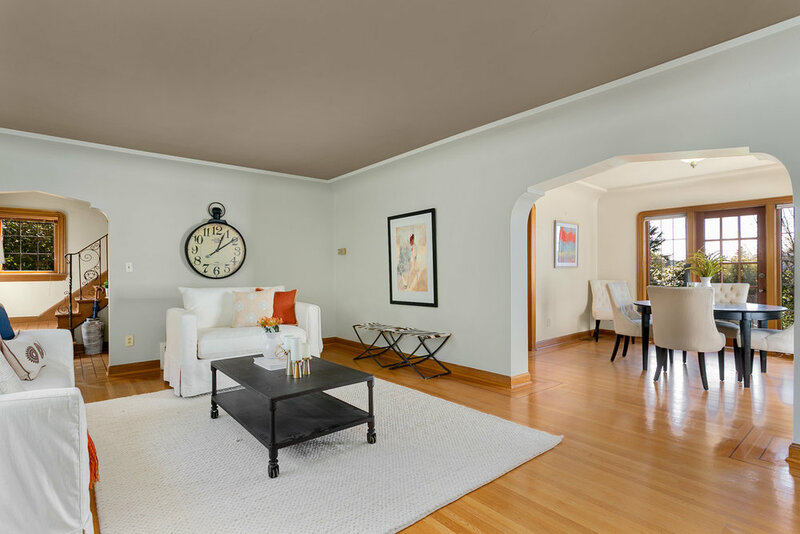 Spacious and light-filled living room with gas fireplace, hardwood floors, leaded glass windows and coved enter ways. Loads of charm and character throughout this lovely home. 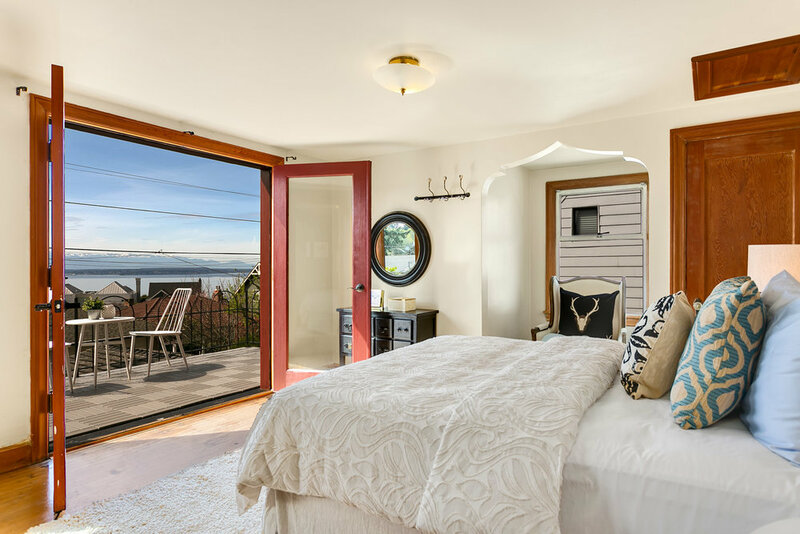 Good sized master bedroom with hardwood floors, Jack and Jill style full bath, and French doors to the fabulous view deck. En suite bathroom. Updated and tiled 5 piece bathroom attached to the master bedroom with separate door for the second bedroom to share access. Good sized second bedroom located upstairs. Third bedroom located on the lower floor. The finished basement has third bedrooms, family room, utility room, storage and a 1/4 bathroom with a shower only. Lower floor basement room has been used as a workout area tv room. Great family space with loads of potential. Fully fenced backyard with covered porch, patio area, mature plantings and garden space. Two detached garages flank either side of the fully fenced backyard. Potential shop space, alley access. This is a gorgeous neighborhood. Enjoy a short walk down the street to take in the breathtaking view. There’s a bench calling you to come, sit and enjoy the gorgeous view of our city. Beautiful tree lined streets, sidewalks, such a great area to enjoy long leisurely walks. The North Admiral community is a lovely neighborhood of high-end homes.